1. Unzip the product folder downloaded from Codecanyon on your desktop. 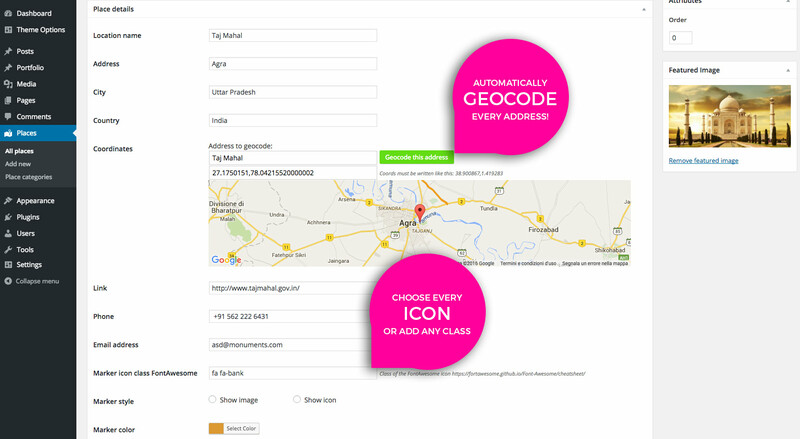 Do not upload the entire product folder as it contains also the manual and other files. 2. Go to the WP Plugins page and click “Add New”. 3. Click the “Upload Plugin” button. 4. Click “browse” and find the unzipped plugin folder in your desktop. 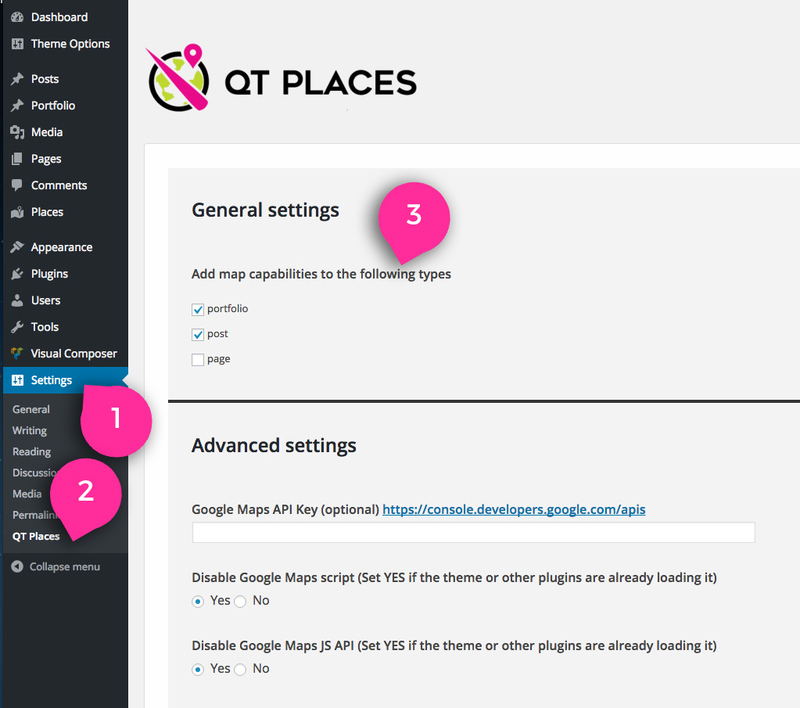 Choose the plugin file called qt-places.zip. 6. Click the “Activate Plugin” link. 7. In Settings->QT Places you can add Places capabilities to other existing post types.